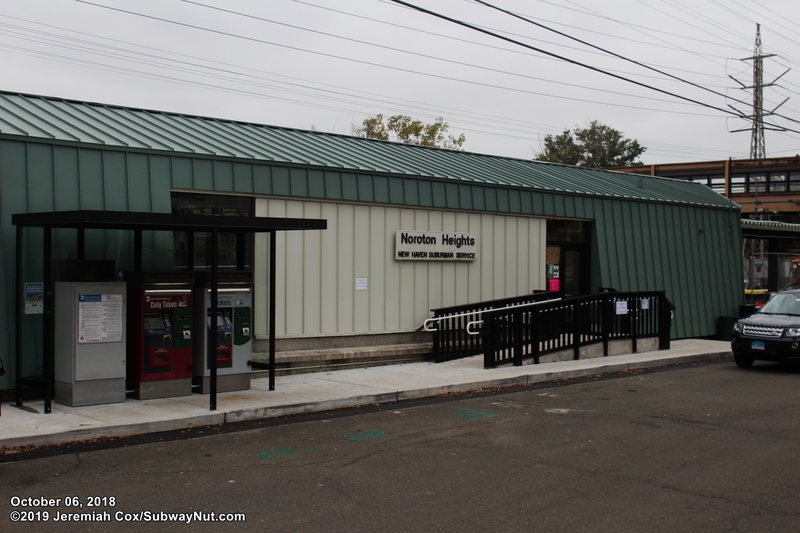 Noroton Heights is the secondary New Haven Line station serving in the town of Darien. 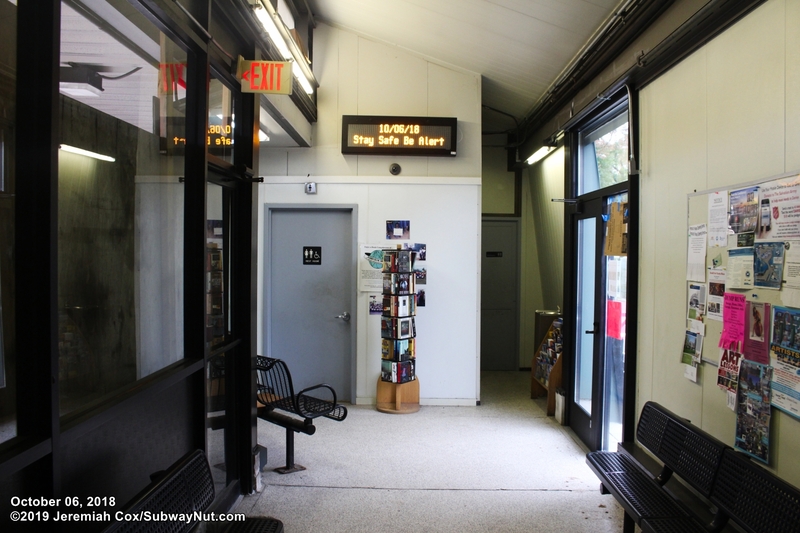 Service to this station off-peak is every hour, with two-stop express service to Grand Central Terminal since the stop is the first one after Stamford. 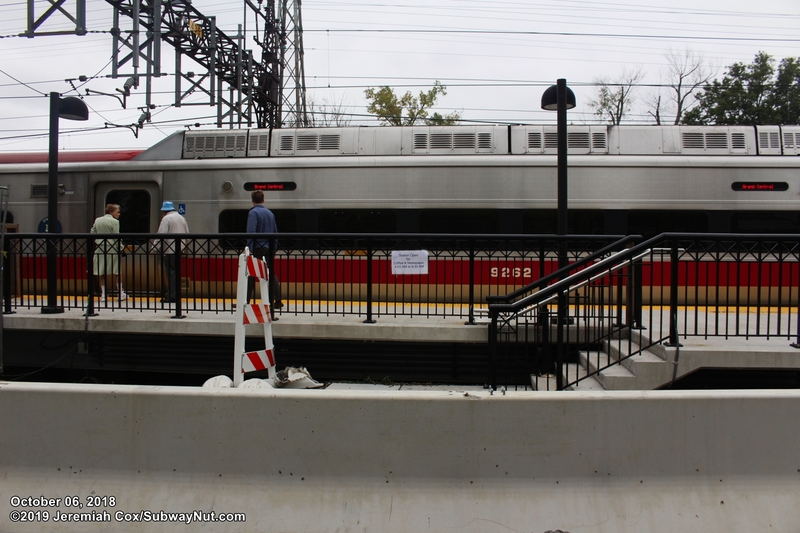 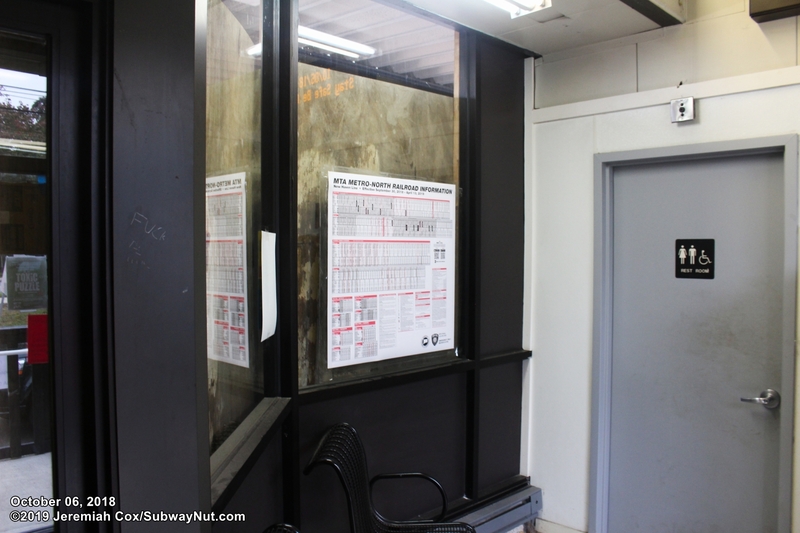 The stop just finished undergoing a $6.7 million project that replaced the concrete platforms with modern ones, including new black lampposts and railings and a new black shelter on the New Haven-bound platform. 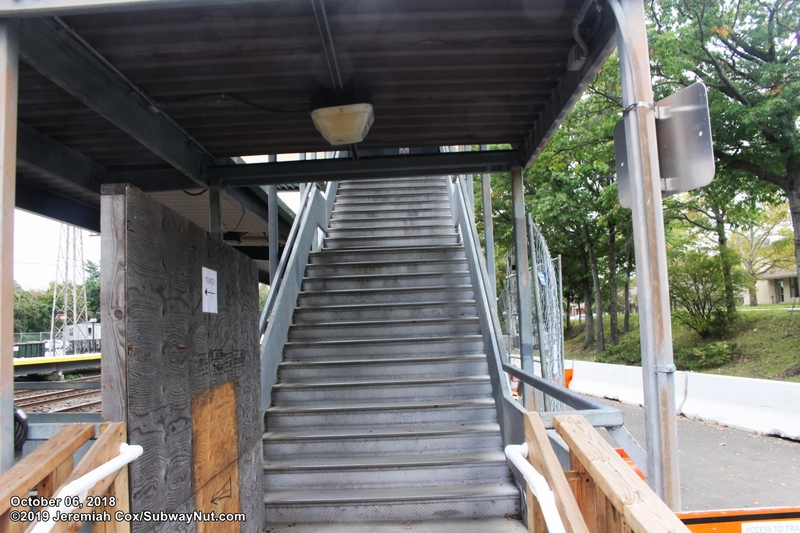 Both platforms also received new ADA accessible ramps, although the pedestrian bridge connecting the two platforms was untouched and is still stair only, giving the station accessible platforms only, with car pick-up and drop-off recommended and not non-full accessibility since wheelchairs would need to roll down nearby streets down to both platforms using non-ADA designed sidewalks. 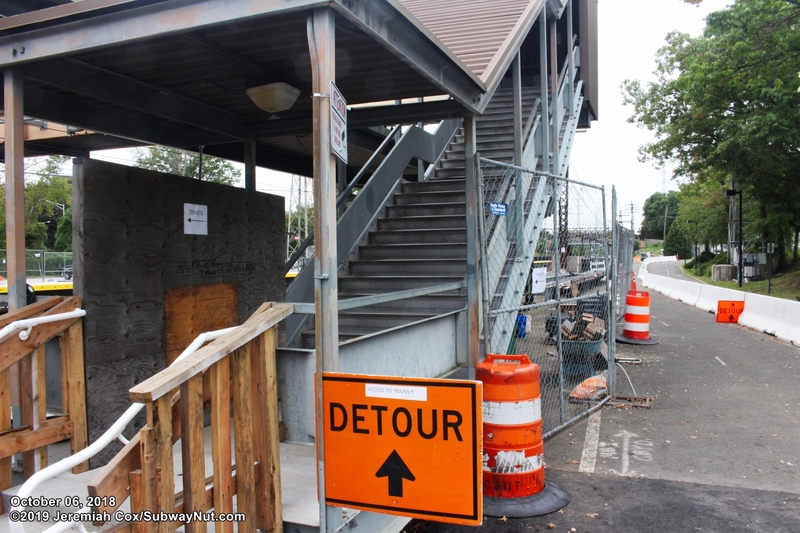 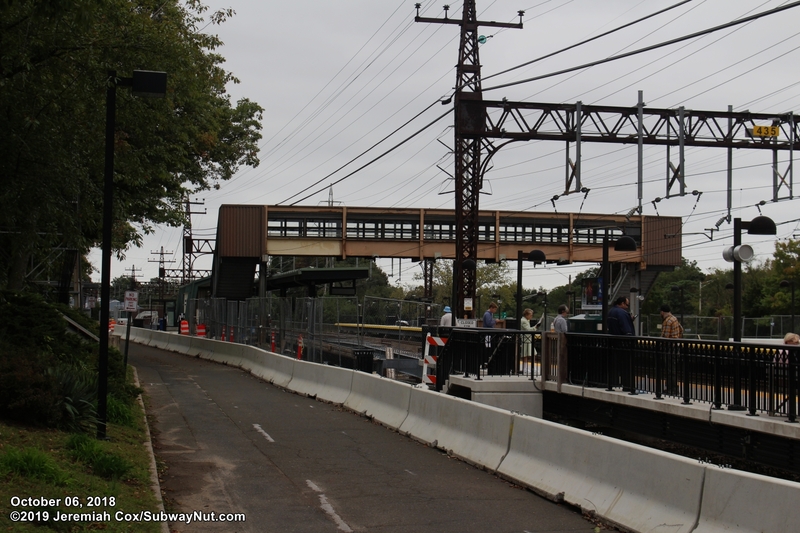 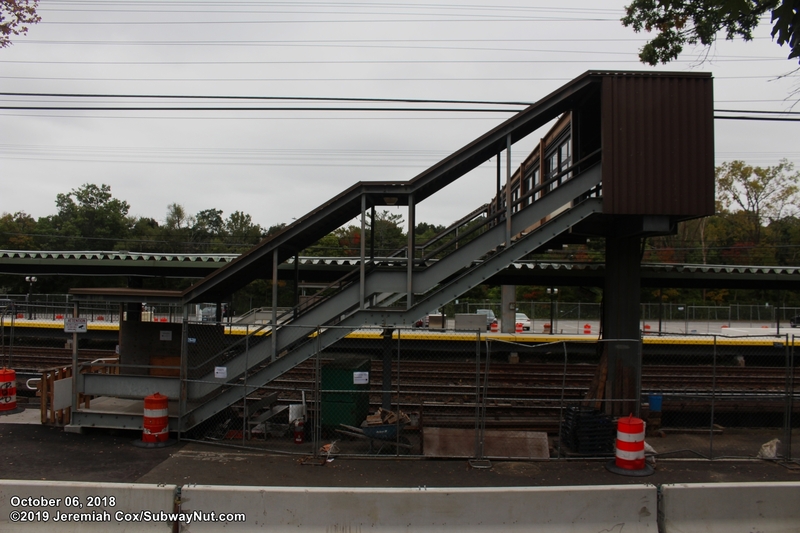 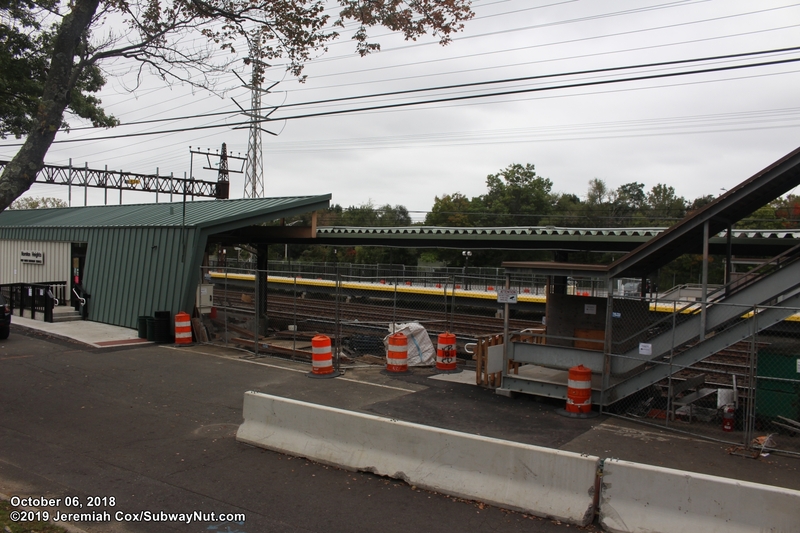 The station has two high-level side platforms for the four track New Haven mainline that begin with staircases down from the Hollow Tree Ridge Road bridge and run east. 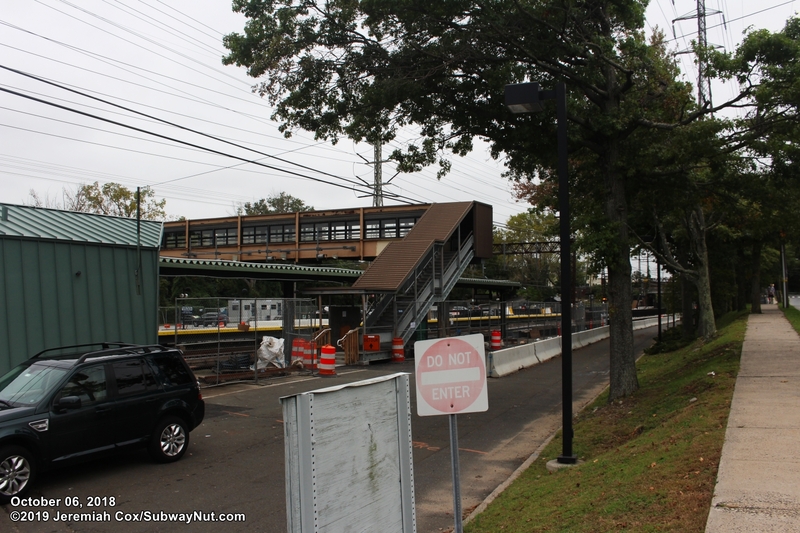 The middle of the platform contains a pedestrian bridge that is enclosed with corrugated metal and painted tan, that was built in the early 1970s as part of the building of high-level platforms along the New Haven Line that resulted in the movement of the station location slightly. 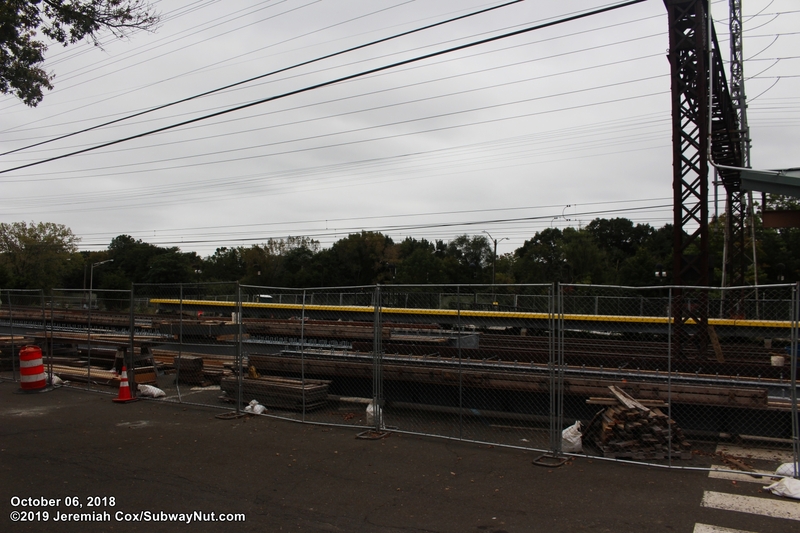 Windows from the bridge do offer views of the railroad tracks below. 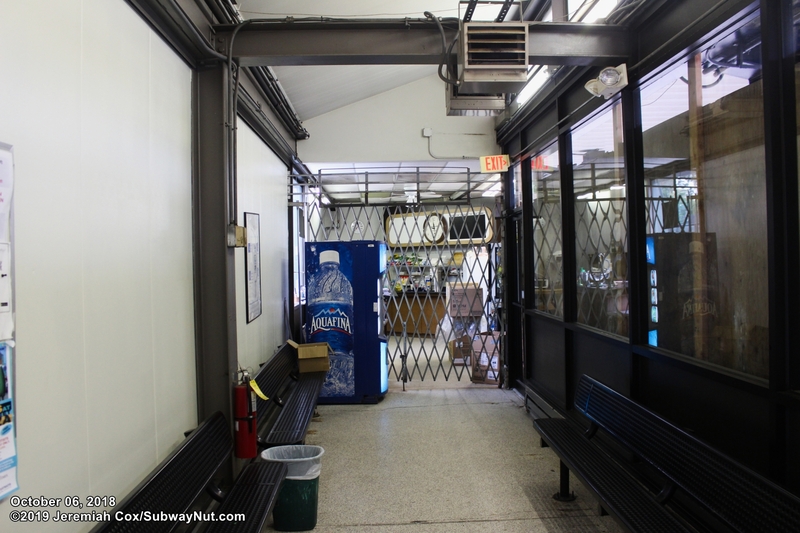 This design continues to the green and tan station house set along the Grand Central-bound platform, that resembles a lean-too. 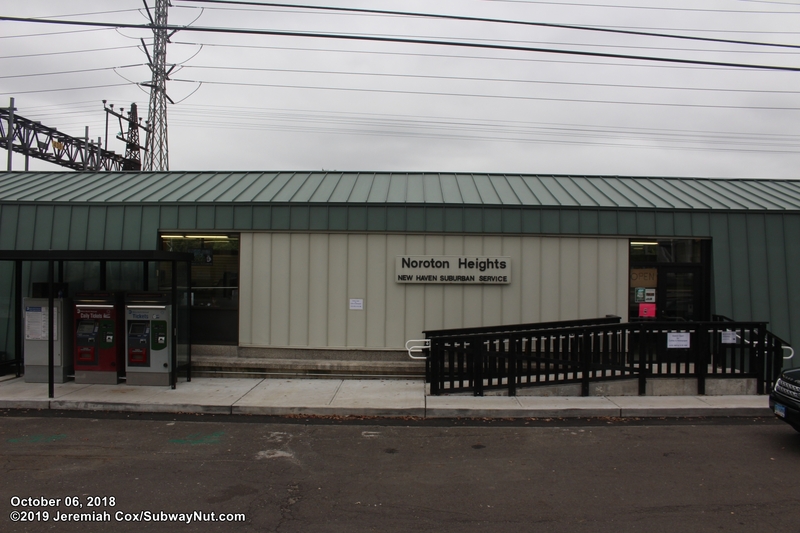 Streetside of the station building reads "Noroton Heights: New Haven Suburban Service" This station building contains a concession stand selling newspapers and coffee to morning commuters, a few simple benches for waiting and two small single occupancy restrooms, one ADA compliant. 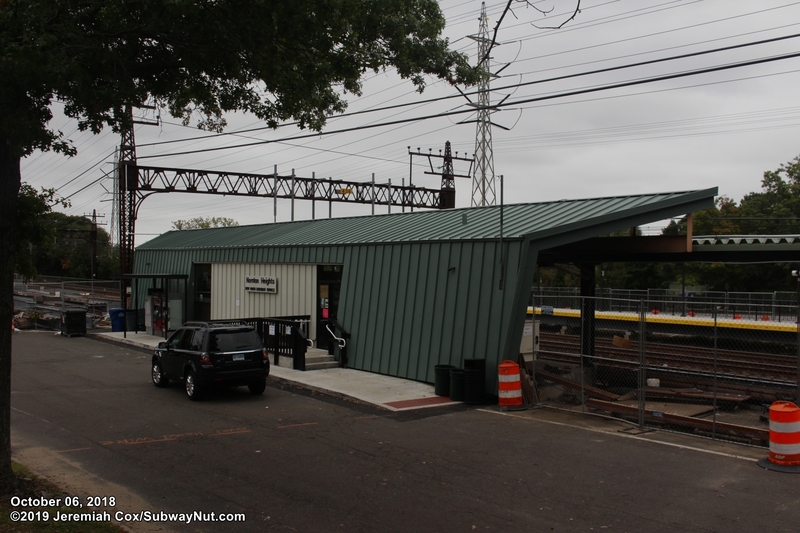 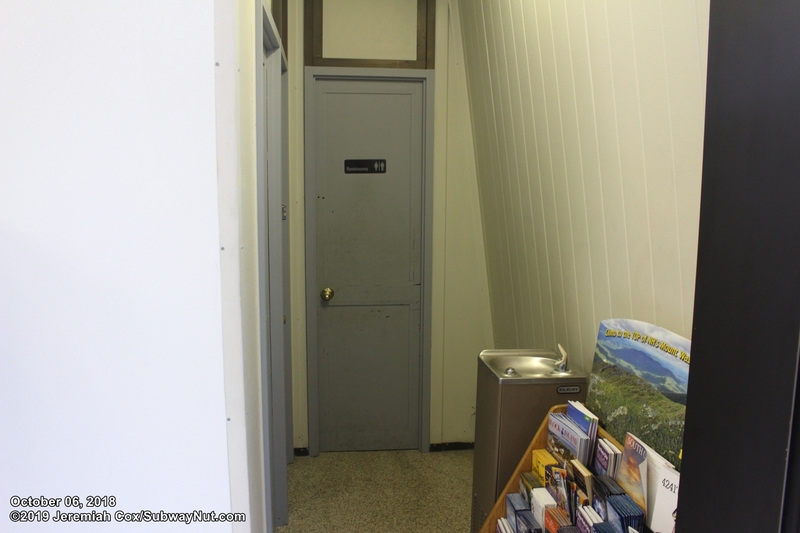 The Grand Central-bound platform contains a canopy that begins outside this station house and runs for about half it's length. 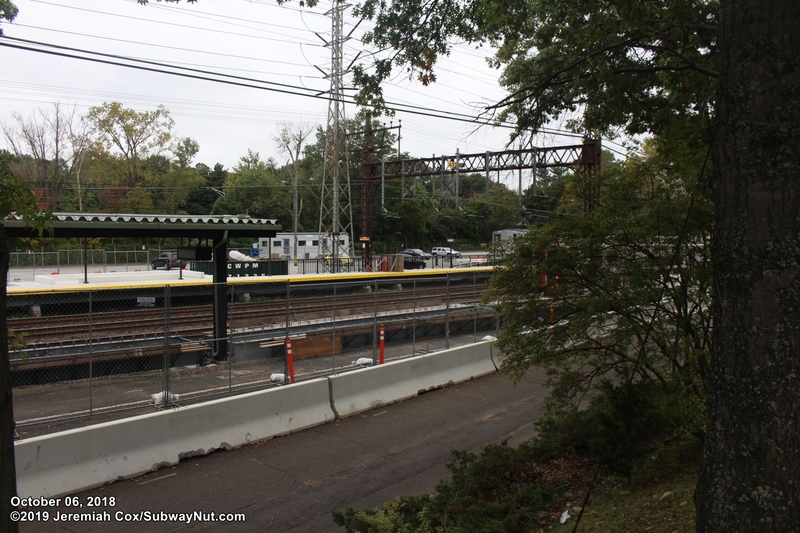 This platform leads out to a small driveway/drop-off area that continues to a parking lot east of the platform. 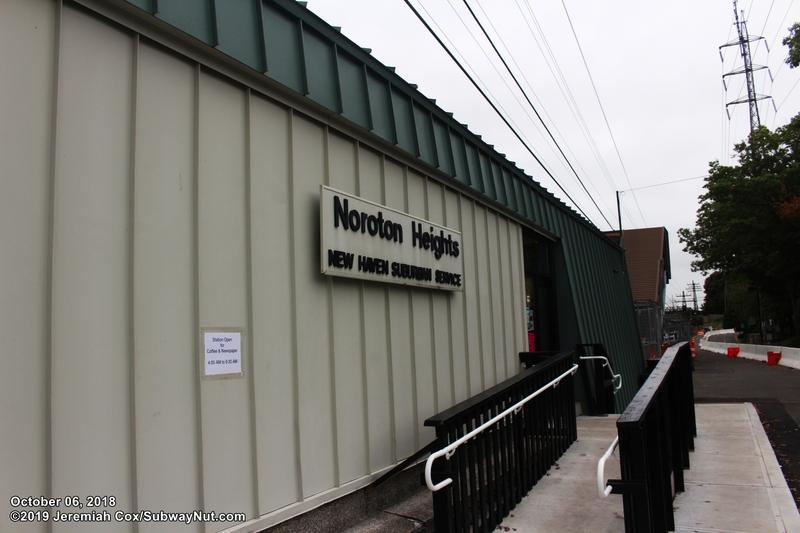 Sidewalks lead across to Heights Road and Noroton Heights small business district. 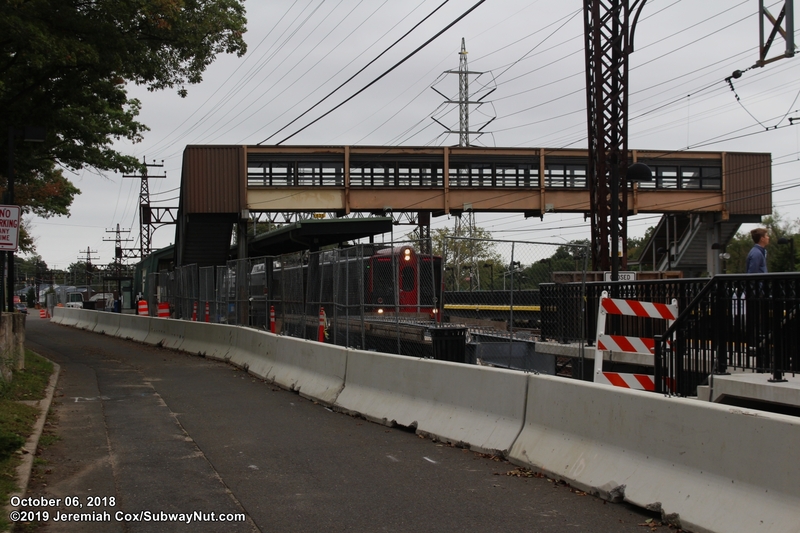 The New Haven-bound platform has the station's main large parking lot nestled between the tracks and the Connecticut Turnpike (I-95). 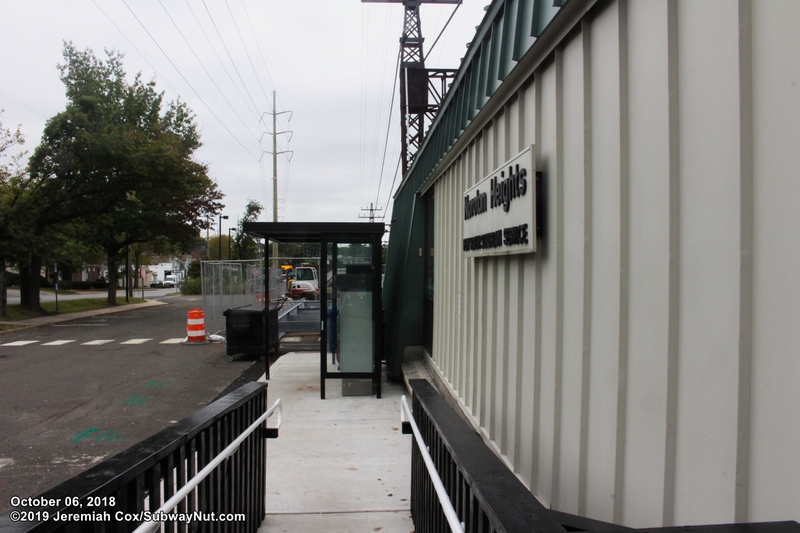 A single driveway provides all access from Hollow Tree Road with an additional driveway way east of the station to Noroton Avenue. 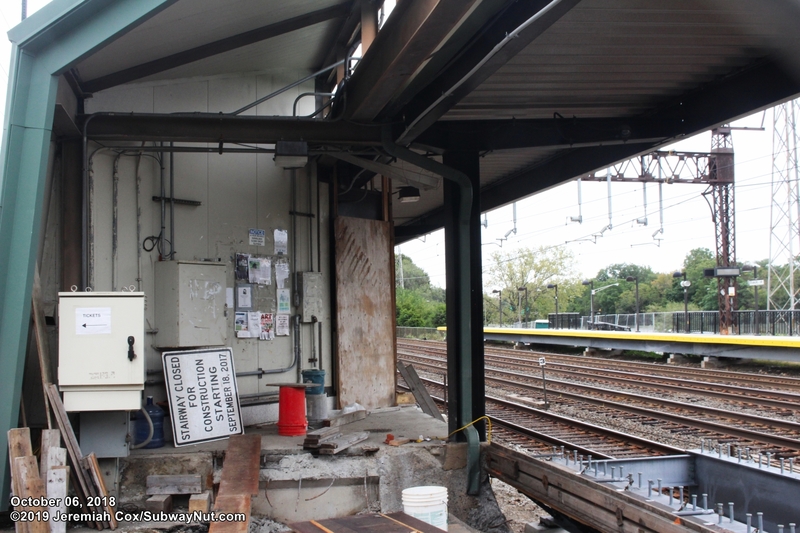 Passenger amenities are a single modern black shelter from the stationcs platform restoration project.